In the beginning of the story, you met Addy and her dog Dooley, as they take their nightly run. Her dog breaks loose and runs into a forest that wasn’t there before. She feels like evil is watching her and is attacked by a Djegrali Demon. Then a man appears out of a portal, who brandishes a flaming sword. There are two of the demons and the man, Brand kills one of the creatures. Before the second creature escapes it stabs her with its poisonous claws and she passes out. She wakes in her house with the mysterious man Brand beside her, who tells her he’s a Dalvahni warrior, who’s lived over 10,000 years and that he hunts Djegrali demons through the realms. He wants to stay and protect her because when the demon stabbed her, he marked her and will be back to finish her off. To make matters more interesting she asks him how he knew where she lived and he informs her that Dooley told him. At this point, she’s thinking he’s just a gorgeous lunatic. Addy is disbelieving until he calls her dog over and tells her to speak and Dooley obliges by speaking English. The book has a Southern charm feel to it. Like how Addy lives in one of those small towns in Hannah, Alabama. The kind of town where everyone gossips and everyone knows everyone else’s business. Throughout the book Addy is more terrified of her mama than she is of a demon hunting her. Believe me, when you meet her mama, you’ll be running scared too. 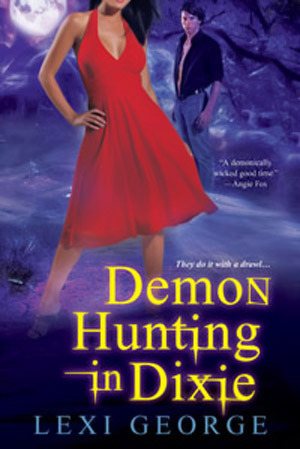 Besides the southern charm, Demon Hunting Dixie has an abundant amount of humor splashed throughout the pages. 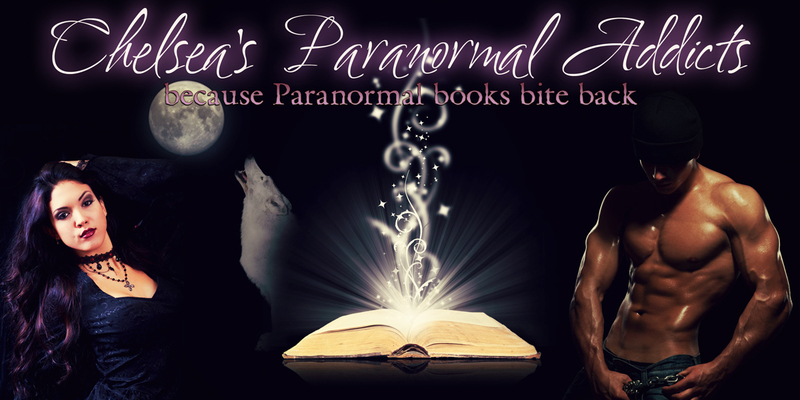 To put it mildly there are Demons, possessed dead bodies roaming the town, a talking dog, a flying fae kitten with gorgeous wings, a scary mama, magical abilities, and much more. I don’t normally read this kind of paranormal, but this book kept my attention and was a nice change from my normal paranormal. If you like feisty Southern heroines with quirky sayings, thrown into the supernatural world, without a life preserver, than you’ll like this book. I did receive this book for Free to give my honest review. This did not affect the rating on the book and my rating/review is strictly my own opinion.